Os ingredientes para a realización desta receita pódense atopar en supermercados e en tendas de alimentación. Utensilios: un bol, un vaso, un coador, un batedor e un molde para forno. 1. Separamos as claras das xemas.E reservamos as xemas, que as usaremos máis adiante. 2. Coa axuda do batedor, batemos as claras ata que queden a punto de neve. 3. A continuación engadimos o azucre e batemos un pouquiño máis ata que o azucre se integre por completo. Agora a masa terá un aspecto similar ao merengue. 4. Mesturamos a masa coas xemas e veremos que a masa toma a cor característica do biscoito. 5. Mesturamos a fariña co fermento e, para que a masa non perda a súa textura, tamizamos a mestura coa axuda dun coador (ou dun tamizador). 6. Batemos, engadimos o aceite de xirasol e batemos de novo. 8. Vertemos a masa no molde, e listo! 9. A masa deberá estar no forno durante 25 minutos a 180 graos centígrados (365 graos fahrenheit). De todas maneiras, dependendo do forno, o tempo de cocción pode variar. Agarda ata que medre e tome unha cor marrón (porque ao levar fermento, non se pode abrir o forno antes de que remate de subir, pois o cambio de temperatura impediríalle medrar de todo), e despois pínchao cun escarvadentes, se sae seco, é que o biscoito xa está, se sae con gromos ou restos de masa, haberá que deixalo un poquechiño máis. Kukiconsello: Se despois de facer o biscoito, non che dera tempo de facer os cake pops, e queres deixalo para outro día, podes conxelar o biscoito. Só tes que envolvelo en papel de aluminio e metelo no conxelador. O día que o queiras comer, terás que sacalo 3 ou 4 horas antes e listo! 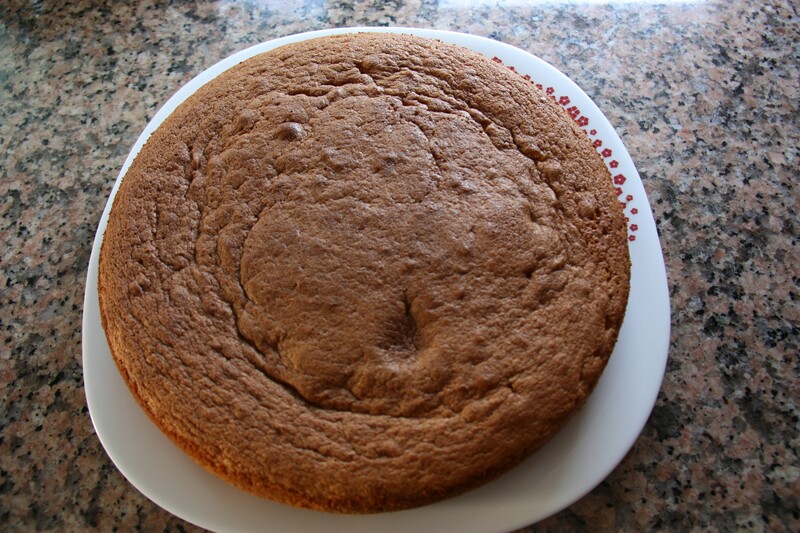 This sponge cake recipe is very easy to do and the result is excellent. The texture is really fluffy and the taste is mild. Besides, we can make different variations to this basic recipe, by adding cocoa, orange or lemon juice, cream… and almost everything you can think of. And the most important thing is that you can use it to make delicious cake pops, so… let’s do it! 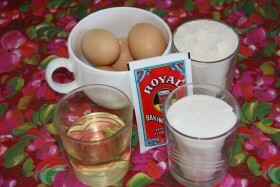 The ingredients to make this cake can be easily found on supermarkets and grocery shops. 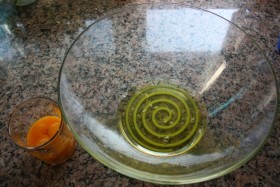 Utensils: one bowl, one glass, one sieve, a whisk or a beater and a baking mould. 1. Separate the whites from the yolks. The yolks will be used later. 2. 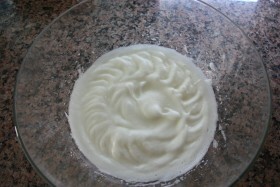 Using a whisk or a beater, we will whisk the whites until they form stiff peaks. 3. Then, we add the sugar. 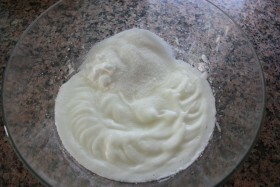 We whisk the sugar and the whites until the sugar is fully incorporated. 4. 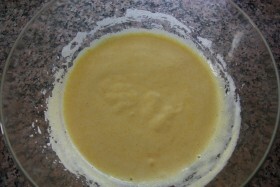 Now, we add the yolks and we will see the so beautiful and typical color of the sponge cake. 5. 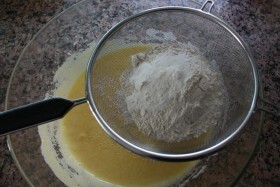 We mix the flour and the baking powder, and to avoid the batter from losing its smooth texture, we will sift the dry ingredients using a sieve. 6. 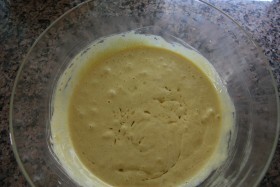 We whisk the batter again and we add the sunflower oil, mixing it with the beater. 7. 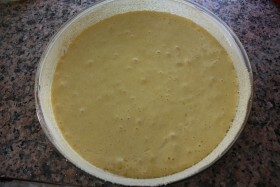 The batter of our sponge cake is ready! So it’s time to prepare the mould. To prepare it, we can use butter, or flour, but my favorite option is butter and breadcrumbs. While we prepare the mould, we preheat the oven to have it ready for the cake. The preheating time will be of about 10 minutes. 8. We pour the batter into the mould and that’s it! 9. 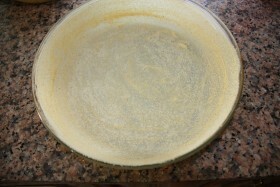 The cake will have to be in the oven for about 25 minutes with a temperature of 180º C (356º F). Depending on the oven, the baking time can vary. Remember that you shouldn’t open the oven while the cake is growing because the change of temperature can stop the growing process. 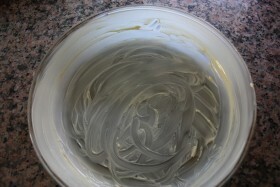 Just wait until the cake has grown and the surface has turned into a brown color. A toothpick inserted in the center of the cake should come out clean, with no crumbs attached. Kukitip: If you want to keep a piece of the sponge cake to do the cake pops but you do not have time to do it soon, you can freeze the cake. Just wrapped it in tinfoil and put it in the freeze. The day you want to eat it or use it for the cake pops, take it out of the freezer 3 or 4 hours before serving.